Film actor Vicky Kaushal has given astounding performances in the movies like Raazi and Sanju this year. His act as Sanjay Dutt's friend in the movie has captivated the audience and the actor is being considered the next big thing in Bollywood. In Sanju, Ranbir Kapoor depicts Sanjay Dutt's role and he has received immense compliments for the act. In a chat with daily, when Vicky Kaushal was quizzed what he thinks about people saying that he outperformed Ranbir in the movie, he revealed, "I don’t think so. Ranbir is one of the most secure actors that one can come across, and that is even evident in his body of work. What he did in Sanju is unbelievable. His honesty towards the craft could be seen in his performance. I don’t think we can be compared. I am glad that I got to work with him and would love to collaborate with him again." Presently, Vicky Kaushal is playing one of the leads in Anurag Kashyap's Manmarziyan that also stars Abhishek Bachchan and Taapsee Pannu. 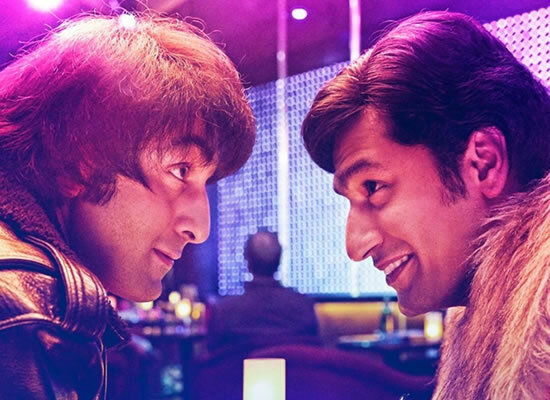 Home / Garam Gossips / I don't think I have outperformed Ranbir, says Vicky Kaushal on film Sanju!